We all know that branding is important to the success of any company. 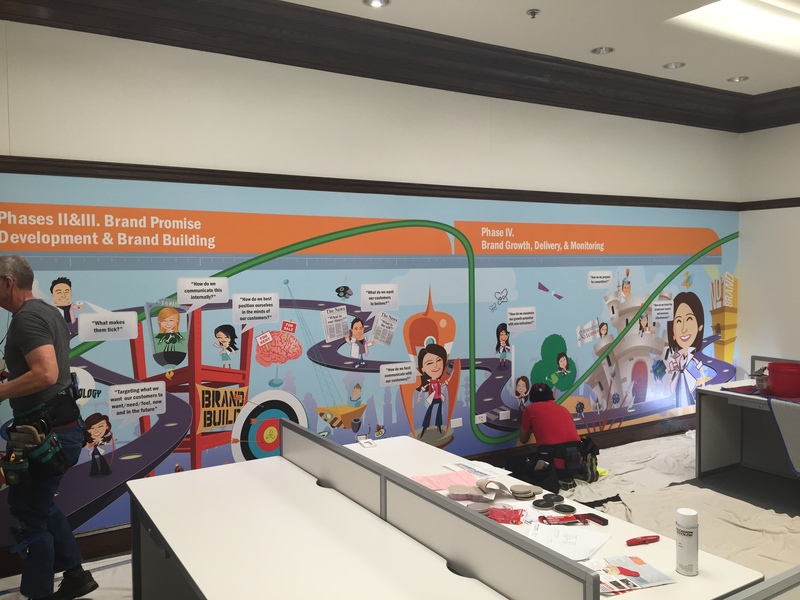 Here, our customer, Branding Science, uses our custom wallpaper to talk about branding in their new offices. Not only does it speak to how their business works, but it’s colorful and fun! In this case we are printing digital art instead of a photograph. Either way, this kind of wall mural has great impact! This entry was posted in Custom Printed Wallpaper and tagged branding mural, branding wallpaper, custom wallpaper, wall murals. Bookmark the permalink.